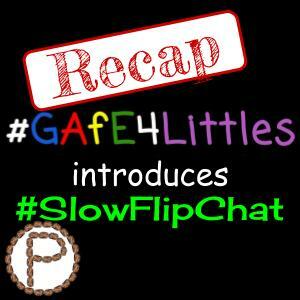 #GAfE4Littles introduced the #SlowFlipChat in July 2017. The opportunity came up because the US Independence Day fell on the first Tuesday of the month, which is one of the bimonthly #GAfE4Littles chat days. 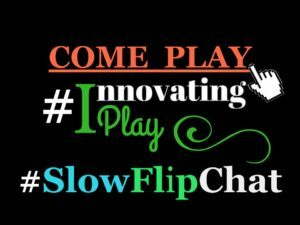 In lieu of the formal Twitter chat, Shawn Reed and I came up with #SlowFlipChat alternative. With a new school year around the corner, our topic was: Ideas for a New School Year. The experience was unique and fun! I truly felt closer to my #GAfE4Littles community, which now feels more like a virtual family. Sometimes during school breaks, regularly scheduled Twitter chats will have a slow chat which takes place over a week. This means instead of having 6-7 questions in one hour on a scheduled day and time, one question is posted every day and participants can respond whenever they want! A slow chat gives the community the flexibility to post and respond when they can. Flipgrid is a tool that allows others to contribute short videos in response to a topic. Integrating Flipgrid into the slow chat would brought some cool new elements to the chat. The community got to see and hear the responses that were shared from other participants. We were able to put a live face or voice to the names and Twitter handles of the educators we have been interacting with virtually. Speaking time gives us a chance to “say” more on Flipgrid than what we can share with 140 characters on Twitter. We had two minutes to share, which allowed us to be short, sweet, and to the point. Ultimately, we still learned and collaborated with each other, just with a new twist by including Flipgrid. The group was encouraged to share and check out the hashtags #GAfE4Littles and #SlowFlipChat. This opportunity gave us the chance to explore the popular and user friendly tool: Flipgrid. The best way to learn how to use a new tool is to click around and play! Questions and link to the main Flipgrid for the week were posted below and on Twitter. A new topic/question was posted every day. Check out our experience by viewing the Flipgrid at the end of this post. Tuesday – Share about one goal you have for this school year. How will you be proactive in achieving this goal? 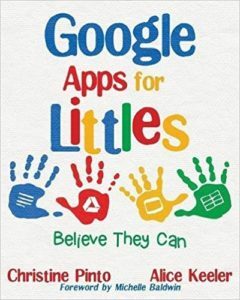 Wednesday – What ideas do you want to pursue with your kids with integrating Google Apps into your lessons? Thursday – Choose a content area and lesson that you are excited to try with your students this year. Friday – What are some robotics or coding opportunities that you are going to bring into your classroom this year? Saturday – Let’s talk classroom layout! Share organization tips/ideas you have or additions you will have to make the classroom a comfortable place to learn. Sunday – How do you incorporate movement into learning? Monday – After using Flipgrid this week, what are some ideas for including this tool with learning activities? This entry was posted in PLN, Twitter by Christine Pinto. Bookmark the permalink.